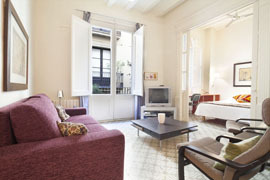 Studio apartment in Barcelona, overlooking Las Ramblas, best suited for couples looking for a short stay in Barcelona. 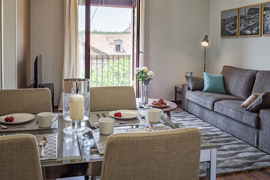 Studio apartment in Barcelona, overlooking Las Ramblas & Plaza Reial, a good choice for couples looking for a short stay in Barcelona. 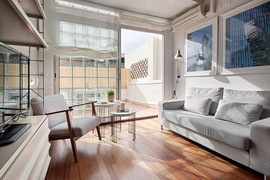 Amazing apartment in Barcelona with lovely balcony. 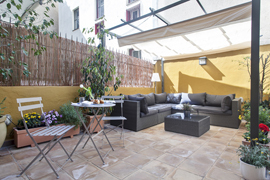 It is located in the city centre, next to la Boqueria Market. 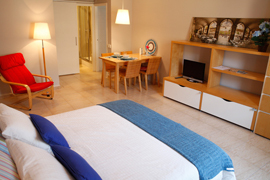 Lovely apartment in Barcelona located in the city centre, next to la Boqueria Market. It features a nice balcony. 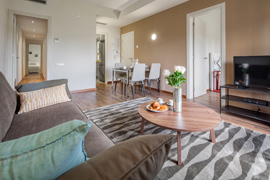 Gorgeous apartment in Barcelona located in the city centre, next to la Boqueria Market. It features a nice balcony. 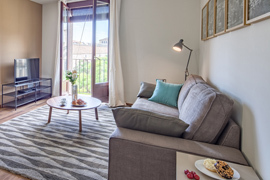 Las Ramblas is the long walk from Plaza Catalunya to the sea, where you find the statue of Columbus, and one of the most famous symbols of the city. 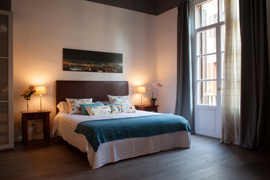 On one side of the Rambla is the Barri Gotic (Gothic Quarter) with its medieval architecture, its typical streets and squares, while the opposite one is the area of Raval. 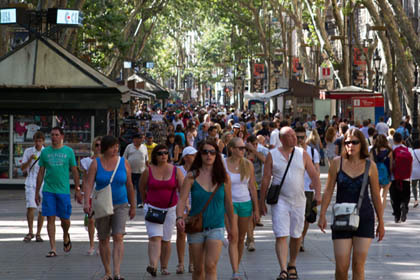 Life on the Ramblas never stops, night and day, one kilometre walk around a continuous show of street performers, mimes, jugglers, musicians and sellers, framed by a large number of shops, bars and restaurants. 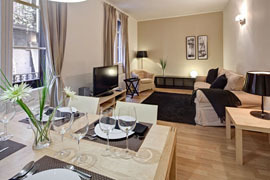 Are you looking for apartments near las Ramblas Barcelona? 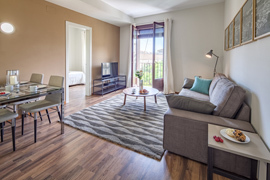 Search for your Barcelona accommodation las Ramblas on our map and find perfect apartments for rent in las Ramblas Barcelona.